THE INSIDE SCOOP ON WORKING IN TECH – GET TICKETS! Learn how to land an awesome job in tech on March 28 at sf.citi’s first One City Forum event of 2019, Breaking Into Tech, organized in partnership with LinkedIn, HireClub, and Jewish Vocational Service (JVS). 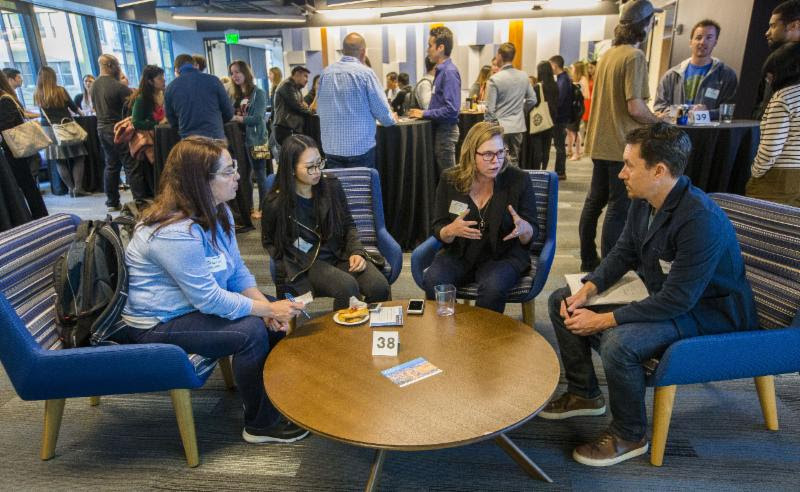 Hosted at LinkedIn’s office in downtown San Francisco, Breaking Into Tech will bring tech newcomers and experts together for a fast-paced evening of speed networking. Attendees will have the opportunity to speak with employees from the city’s most prominent tech companies, including sf.citi members AdRoll, Airbnb, Cruise Automation, Facebook, Lyft, Okta, Postmates, Zoox, and many more. Holding a wide range of positions, our Breaking Into Tech mentors will demystify what it takes to both start or switch careers in the tech industry. Career coaching platform HireClub will offer an informative training session on networking, as well as perform lightning resume reviews throughout the evening. Come prepared with your resume and elevator pitch! Want to learn more about what you can expect from Breaking Into Tech? Take a look at the many connections made during last year’s Breaking Into Tech event. The rise of the gig economy has changed many aspects of daily living—transport, travel, and even how we order a burrito. It has also changed how we think about benefits and employee protections. In the latest sf.citi blog, we take a look at portable benefits. 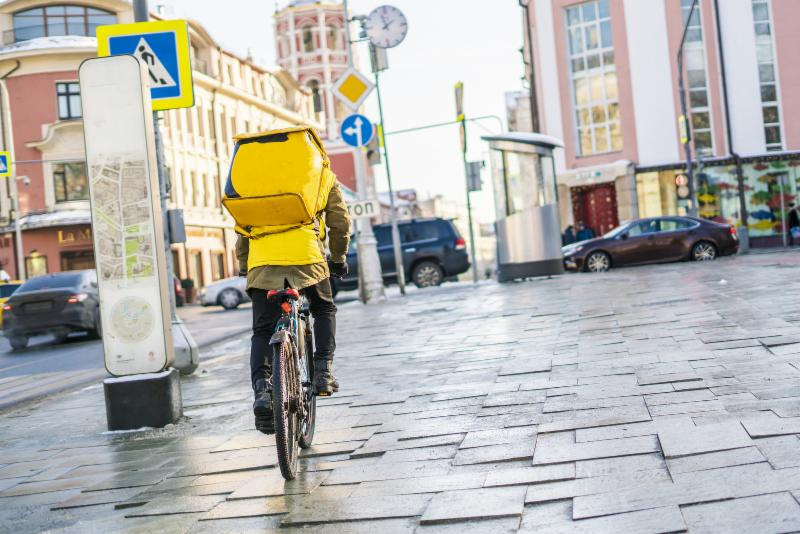 Though not exactly a new concept, benefits that move with you from job to job and are not contingent on employee status have gained new appeal with the growing number of independent contractors in the American workforce. Recognizing that our benefits system needs to modernize and better accommodate gig workers, policymakers are exploring portable benefits at both the federal and state level. sf.citi delves deeper into these policy discussions, examines the pros and cons around portable benefits, and highlights some examples of portable benefits in action, particularly within the tech industry. Find out all you need to know below. 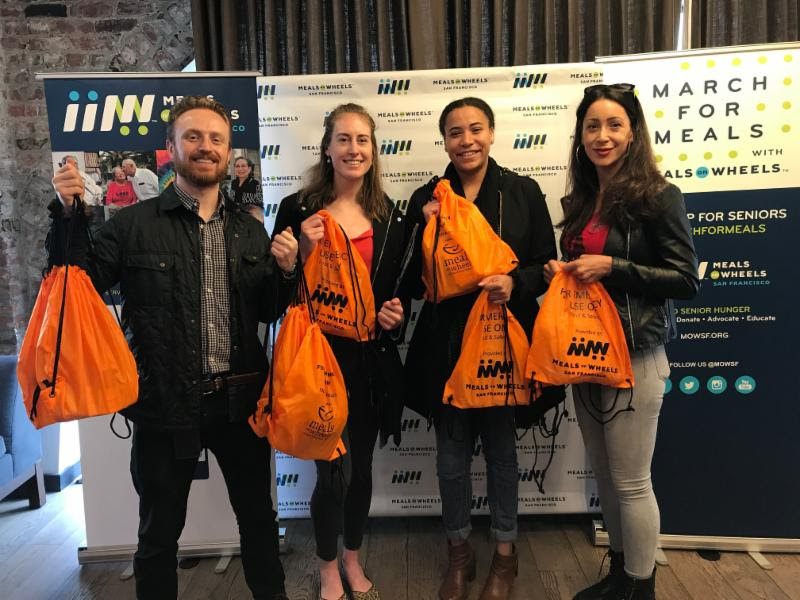 The sf.citi team joined many of our members and city leaders in supporting Meals on Wheels for the kickoff of their national March for Meals campaign. Today’s March for Meals Mid-Market Champion Day honors the lives and accomplishments of homebound seniors in San Francisco’s Tenderloin and South of Market (SoMa) neighborhoods, areas in which senior poverty is higher than in any other part of the city. The sf.citi team delivered disaster preparedness kits to several low-income seniors and adults with disabilities. We loved working alongside employees from sf.citi member companies, including Google, Salesforce, Twitter, and Zoox, to support our longtime partner Meals on Wheels San Francisco (MOWSF) in delivering hundreds of disaster preparedness kits to our local community. San Francisco’s Board of Supervisors, as well as a number of other city leaders, also contributed to the campaign. Each of the eleven Supervisors have been invited to deliver a meal and gift to one senior in her or his district. At today’s event, Emma Heiken of Mayor Breed’s office awarded a commendation certificate to MOWSF Executive Director and CEO, Ashley McCumber, for the organization’s commitment to providing meals and services to San Francisco’s older neighbors. Learn about other volunteer opportunities with Meals on Wheels San Francisco here. Travel just got easier for Bay Area travelers bound for Seattle – sf.citi member Alaska Airlines launched new service at Paine Field in Everett, Washington. You can now enjoy 18 daily nonstop Alaska Airlines flights between Everett’s Paine Field and eight destinations, including San Francisco and San Jose – more on that here.